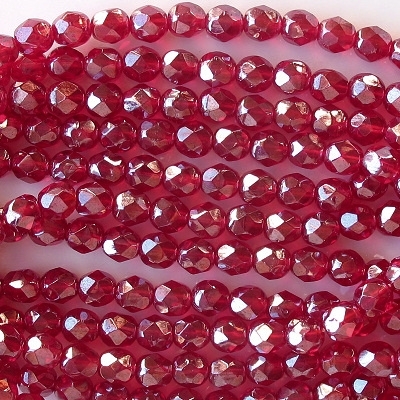 Ruby red with a luster coating. The color in the picture may not be correct. 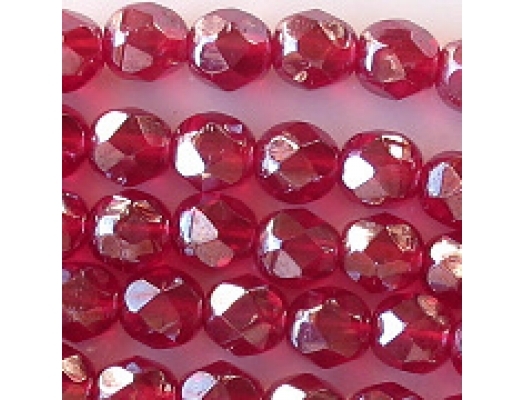 My monitor (which is not an expensive, high-end monitor) does not produce the ruby color well, if at all. Thus, the shade of red that I see on my screen doesn't have that rich ruby color, and the color you see may not be accurate either. 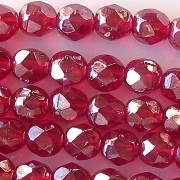 These are nice sparkly beads with a nice color.